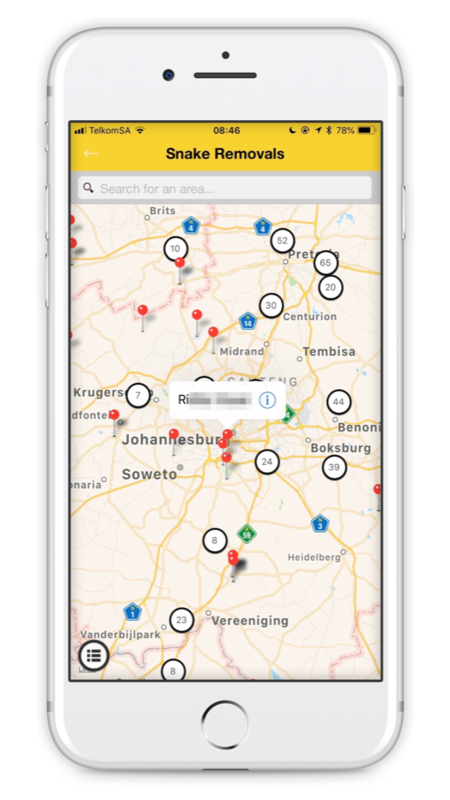 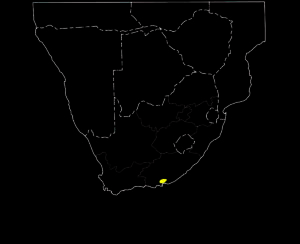 Map indicating the distribution of the Albany Adder (Bitis albanica), within Southern Africa. 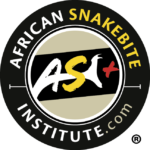 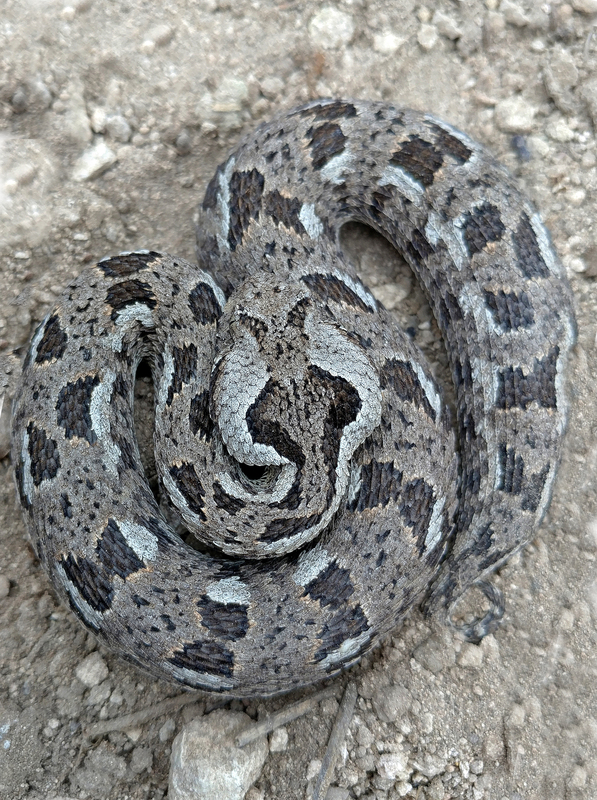 A small adder averaging 25 cm with a maximum length of 34 cm. 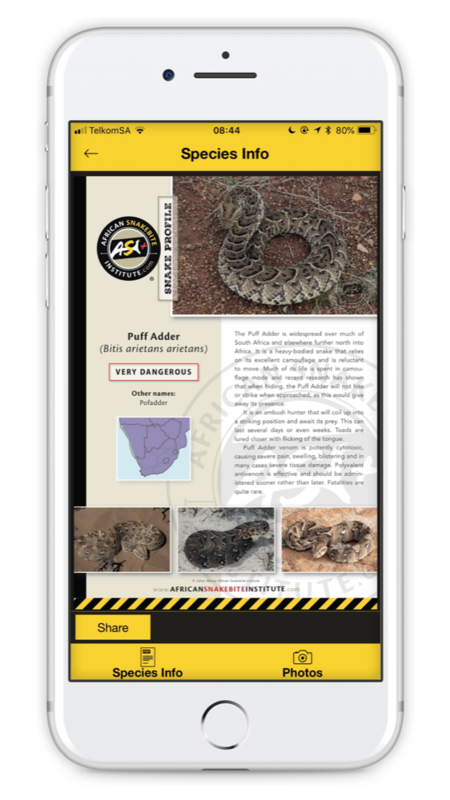 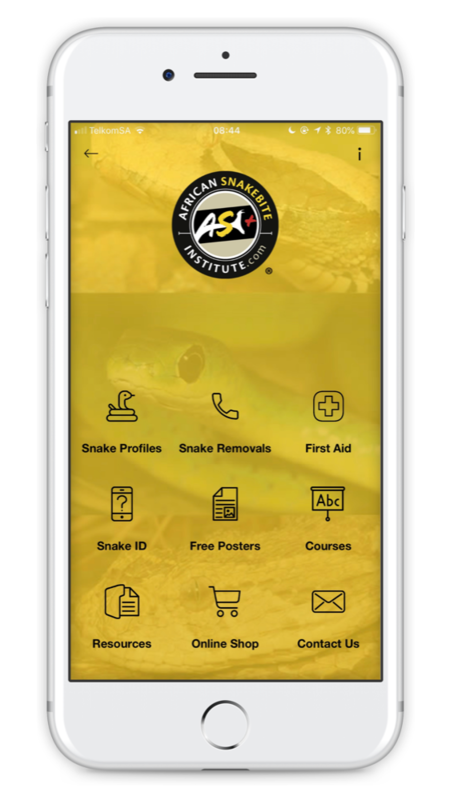 The Albany Adder is endemic to the Eastern Cape in the Algoa Bay region where it occupies Albany-thicket and Bontveld grasslands. 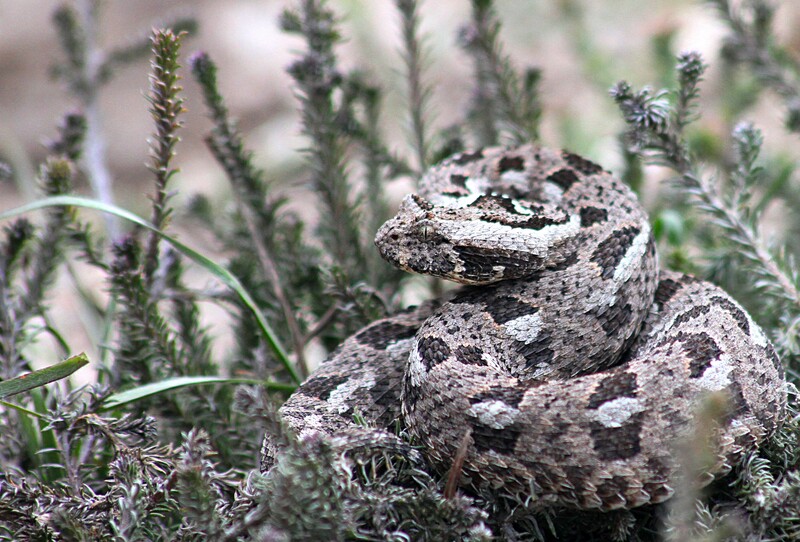 Like many other small adders it is largely active in the early mornings and late afternoons and is fond of hiding under shrubs and rocks. 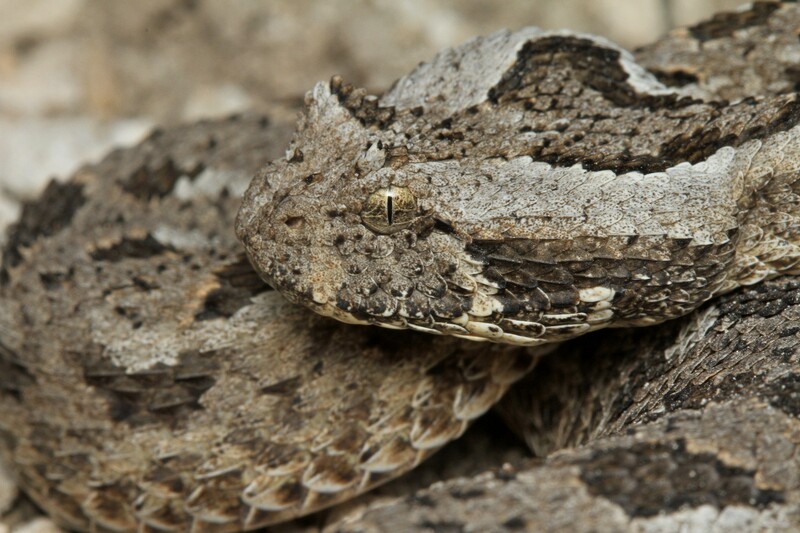 The horns, if present are highly reduced. 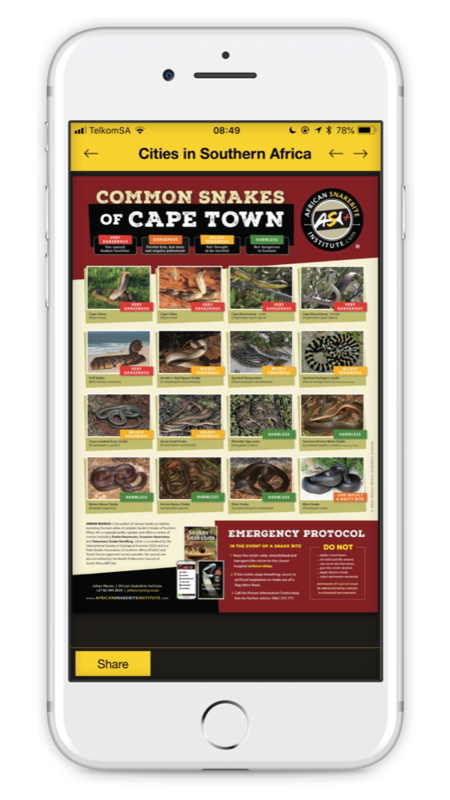 It feeds on skinks, geckos and agamas and small rodents. 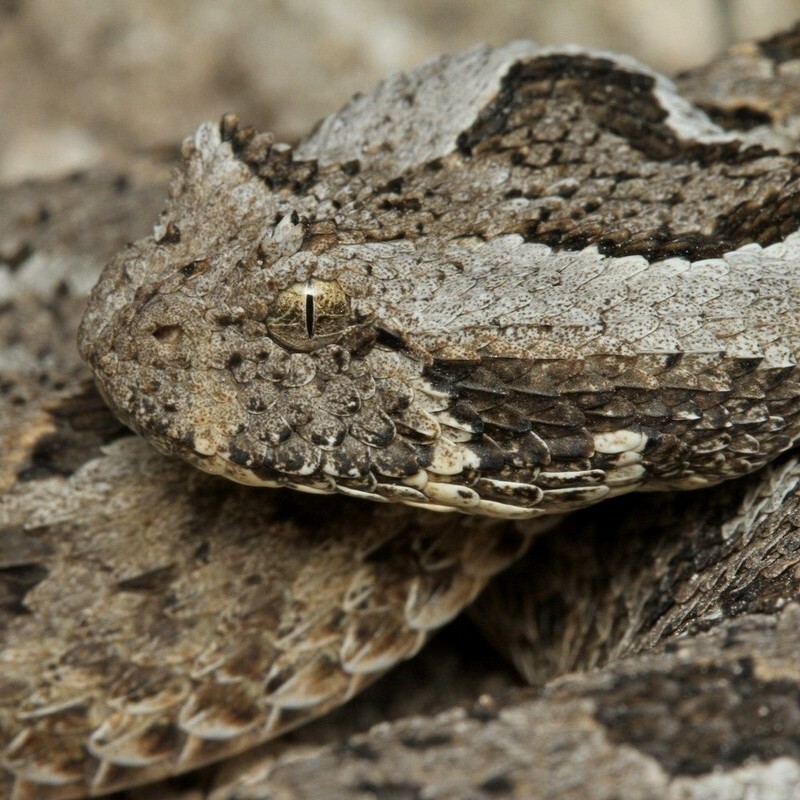 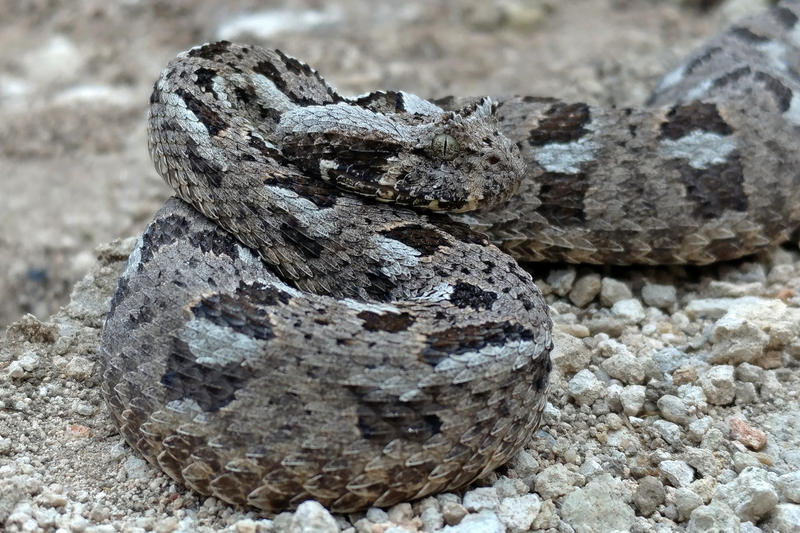 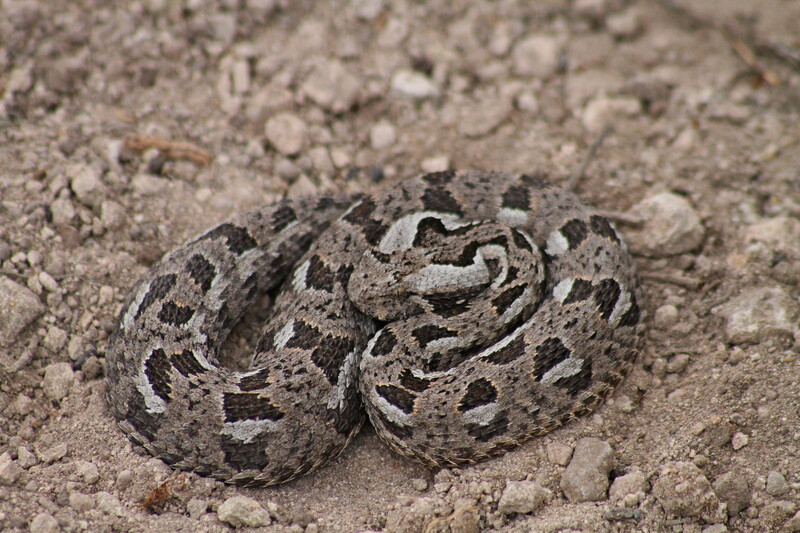 Although human bites have not been recorded, its venom is probably similar to that of other small adders causing pain and local swelling.